Welcome to the latest edition of Gadget Dreams and Nightmares, the column that mines the latest gadget announcements in search of the latest and greatest gizmos… or at least the ones that provoke enough interest to discuss. These are not reviews, in part because some of these items are months away from hitting shelves. The ratings relate only to how much I’m interested in trying each product. HomePod can remember your playlists and tastes, and answer questions about the musicians on a track. You can queue up your next song or album in a pinch. The sound quality far exceeds that of Amazon and Google’s smart speaker offerings, based on some early reviewers’ impressions. Apple is launching HomePod in the U.S., UK, and Australia for US$349. That’s significantly more expensive than Amazon’s Echo line and Google’s Home. What’s more, there’s little indication that Apple will open its walled garden to allow users to control non-Apple services with their voice. Certainly, there’s all manner of commands you can ask Siri to perform with Apple Music, but third-party music services like Spotify are locked out for the time being, just as Siri treats them on iOS. It being a major new product release from Apple, I’m naturally intrigued to try it out. However, as someone who is not completely invested in the Apple ecosystem (I’m a heavy Spotify user, for instance), I have doubts over how much value I’d derive from this at the minute. Naturally, this machine is better, faster and stronger than previous iterations, with an updated operating system to boot. There’s not a ton I can say about a new personal computer without delving into the inner workings of macOS High Sierra, which will be released in the fall and will affect more than just this system. If you know what Macs are about, you know the score: It’s high performance, with a price tag to match. 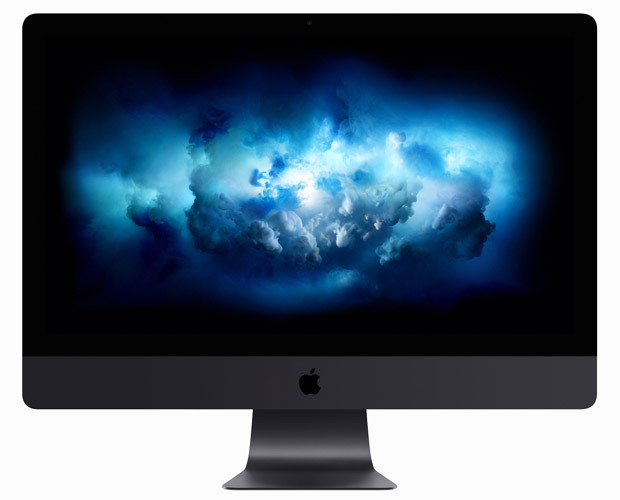 The iMac Pro can wield an absurd 18 core processors, 4 TB of SSD storage, and 128 GB of memory. It can handle 22 teraflops of graphics computation. That’s far beyond what most people will need, and the US$4,999 starting price suggests it’s not for casual users who want to edit photos now and again. What is most welcome about the iMac Pro, at least for me, is the exceptionally pretty space gray finish, which is a far sleeker look than the atypical white. Long-time readers will note that I’m a Windows user, but boy would I welcome having that system with its 27-inch Retina screen plonked on my desk. 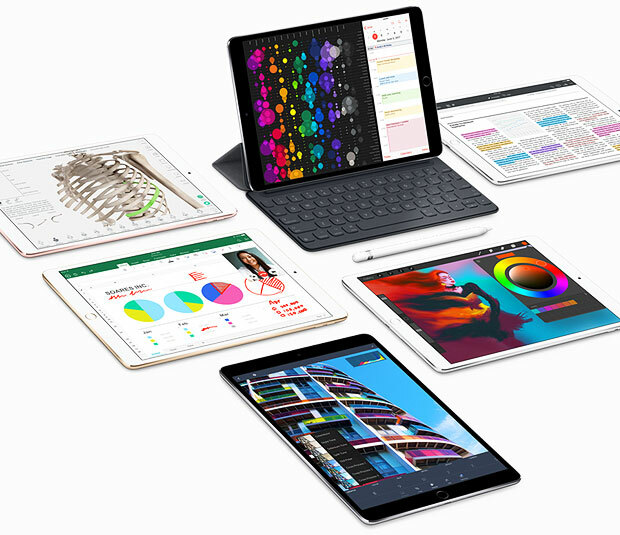 The iPad Pro is getting a makeover too, with the latest incarnation increasing the smaller version’s screen size from 9.7 inches to 10.5 inches. Apple reduced the bezel by 40 percent to cram in that screen while keeping the weight to 1 pound. I can’t complain about packing in more screen on the same size device. It’s more powerful, of course, and it has the same cameras as the iPhone 7. I’m not sure I’ll ever come to terms with people taking photos with their tablet, but this seems a way to prepare for an increase of interest and use cases in augmented reality. The latest model has refresh rates of up to 120Hz, which should make the visuals more fluid while the display is the brightest yet on an iPad. With the incoming iOS updates for iPad, including a way to centralize your files across cloud services, it seems like Apple is getting closer to completely replacing laptops. It’s not there yet, and as much as I’m eager to try this new iPad, I can’t see it supplanting my computer any time soon.